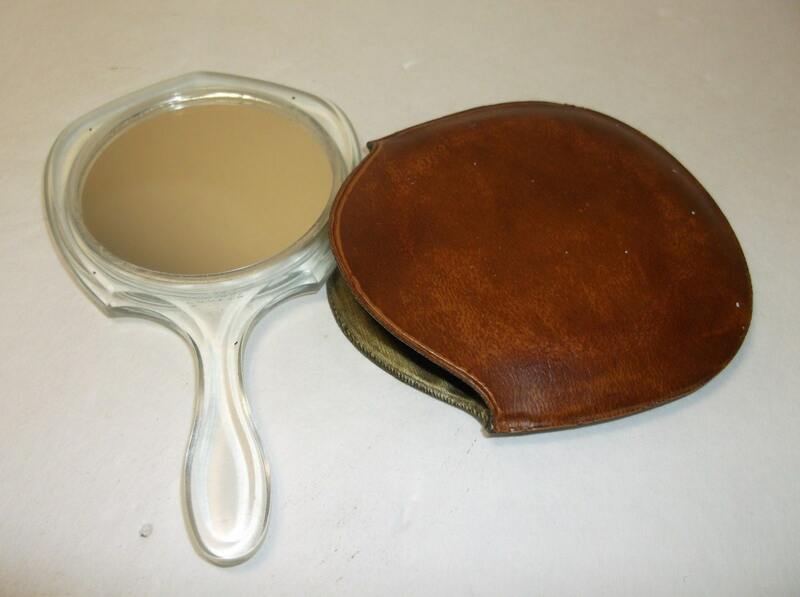 Sweetest vintage mini mirror with leather cover. "Travel mirror." Lucite frame and handle. One side regular reflection. Other side is magnified. Brown leather cover with satin lining. Dimensions: 2.5 inches in diameter with 4.5 inch length. Super sweet vintage piece!